A holiday dessert spread that covers all our favorite pumpkin and sweet potato thanksgiving desserts! 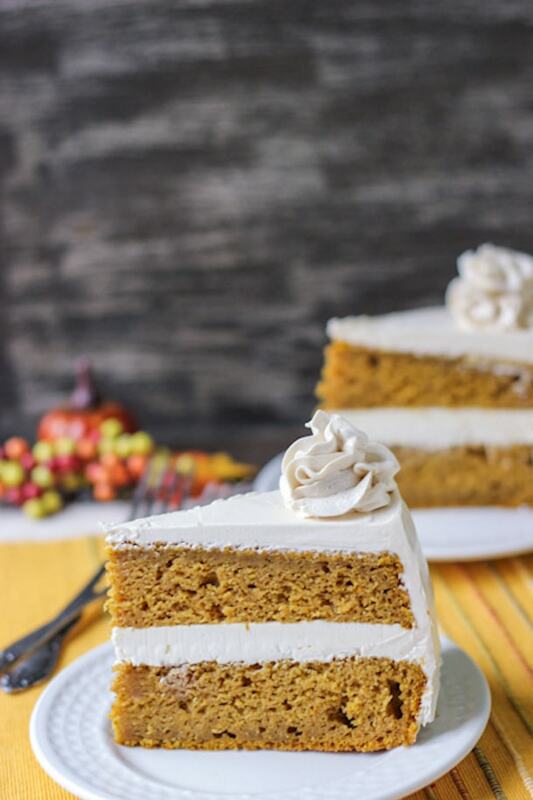 Starting with a Spiced Pumpkin Cake with Brown Sugar Frosting then a Sweet Potato Pie with Maple Marshmallow Topping and ending with a Pumpkin Maple Tart with Spiced Pecan Crust! I bet you all thought I forgot about Thanksgiving given my recent indulgences into holiday sweets and cold weather food. Case in point these eggnog bourbon cupcakes, homemade peppermint marshmallows and this eggnog pudding cake. Well to be honest, I did not forget Thanksgiving!! I had this spectacular holiday dessert spread planned for today that I knew will cover all of your Thanksgiving day needs. 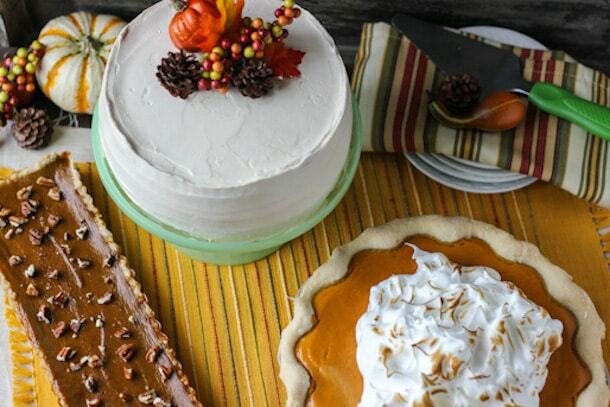 I mean how could Spiced Pumpkin Cake with Brown Sugar Frosting, Sweet Potato Pie with Maple Marshmallow Topping and Pumpkin Maple Tart with Spiced Pecan Crust not cover all your Thanksgiving dessert? All your basis are covered!! It’s only fitting I walk you through each of these starting with the cake. A moist, fluffy and spiced pumpkin cake is frosted with a whipped brown butter sugar. 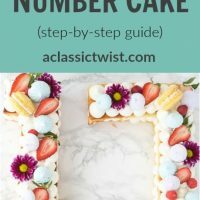 For all those cake lovers in your party. 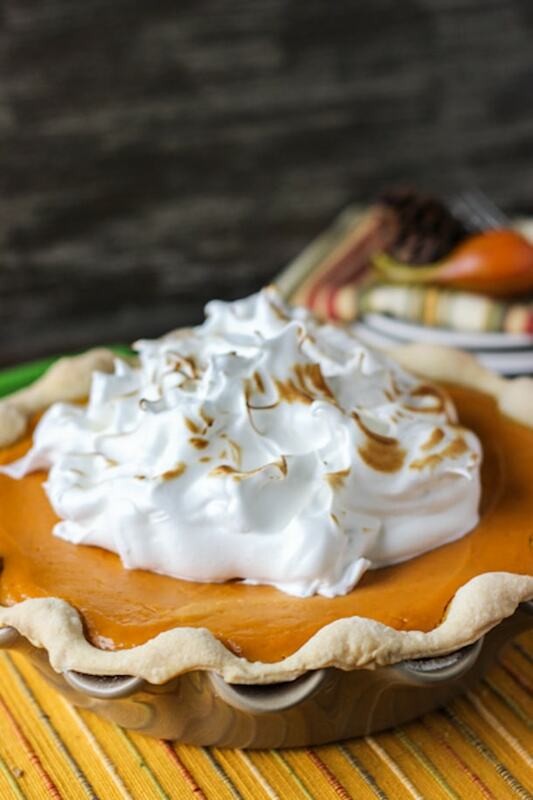 Next the classic sweet potato pie is made elegant with a dreamy cloud of maple sweetened marshmallow topping. 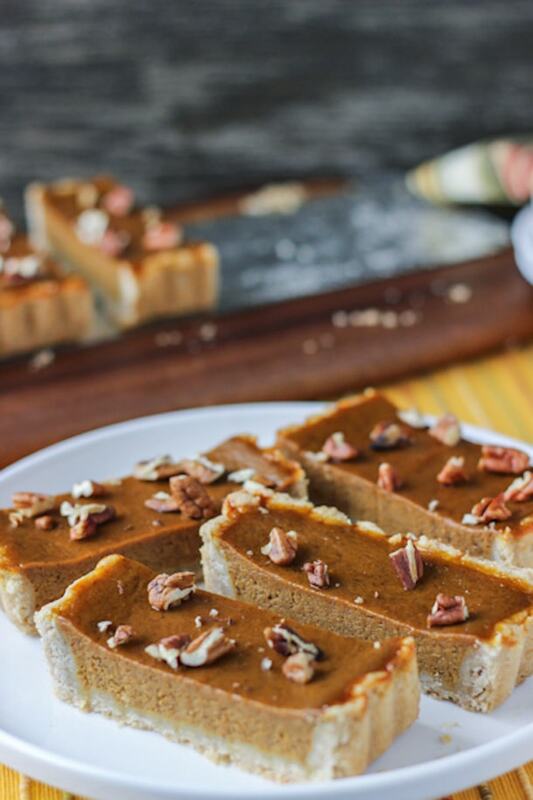 And finally for the die hard pumpkin pie fans in your family (ahem, my FIL), this pumpkin maple tart is packed with all your pumpkin pie must-haves and more with a spiced pecan crust. 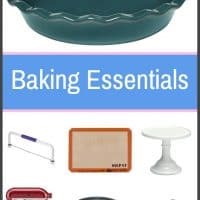 All of these Thanksgiving desserts can be made ahead of time (a day or two ahead) to make your entertaining stress-free. 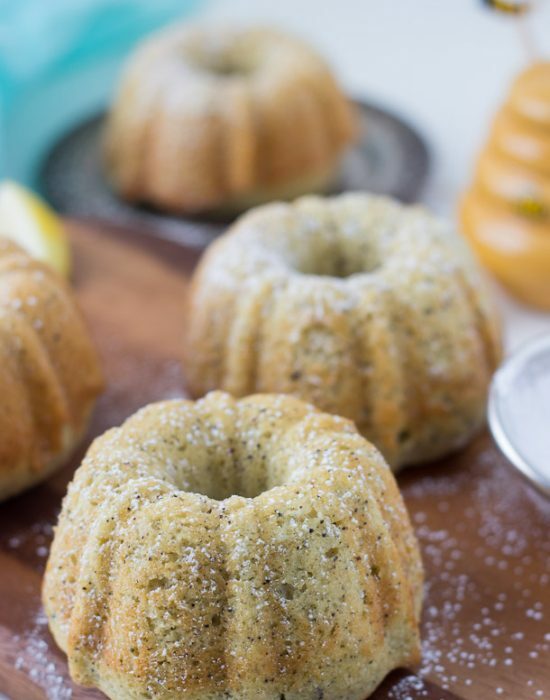 In fact, I am sharing some entertaining tips and the recipes over on the Kitchenthusiast, the KitchenAid blog. 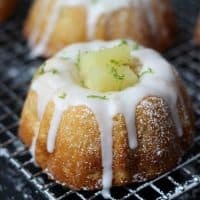 This post is sponsored by Kitchenaid . As usual, all opinions are 100% mine. I want all of this! Yes I do!! You and Alice need to come over!! Would be so great to have you! Everything looks so pretty! The cake looks so moist, yum! those bars, oh oh yes I need those in my life too. I AM OBSESSED WITH THIS SPREAD. Can I just have Thanksgiving at your place, please? Pretty please? Ermagawd, Zainab, you’re a baking queen! Look at you and your mad skills – these are three incredible, beautiful, decadent, perfect desserts. I want all of them in front of me, right now. 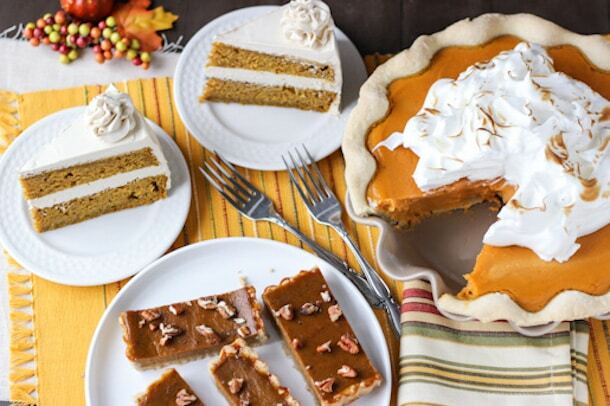 That cake is crazy fluffy ‘n moist, the crust on your pie is perfection, and you can’t go wrong with pumpkin and sweet potato at this time of year. 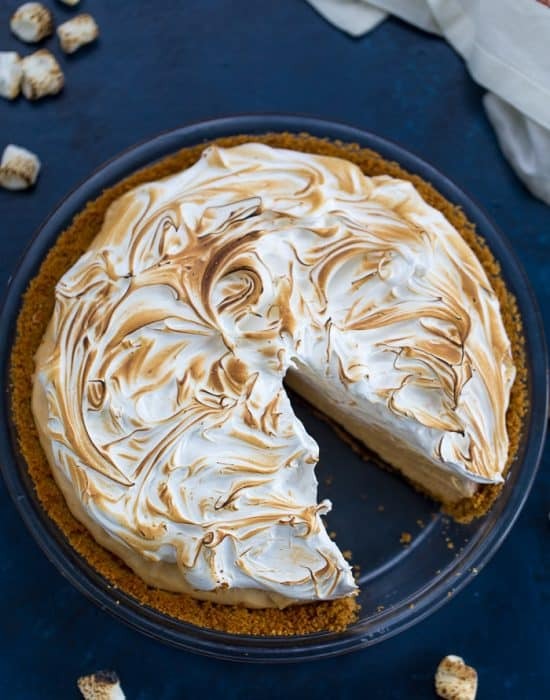 I lean more in the sweet potato direction but all of these desserts look amazing! Well that pie is just for you!! The sweet potato pie looks really good! O. M. G. I think I’ve died and gone to Thanksgiving dessert heaven!! If you need any taste testers…I’ll be on the next bus. Hhahah thank you! Just for this year, you can’t come to Thanksgiving here. We can’t leave the.boy at the altar!! After the wedding, you are always welcome!! Gorgeous spread, Zainab! I would love a slice of each, please! Heading over now to check out the feature! Oh yes two!! It’s the cardinal rule of the holidays! You are SO talented, lady! I have serious baking skill envy. All three of these are perfect and beautiful. The flavor combos all sounds just incredible!! LOVE!! YUM! That cake!! Wow! Such perfectly pretty layers! Congrats on being a contributer at kitchenaid, that’s awesome! 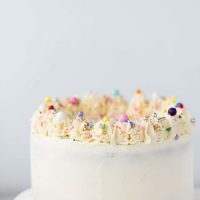 All of these desserts look amazing, the spread is just beautiful! 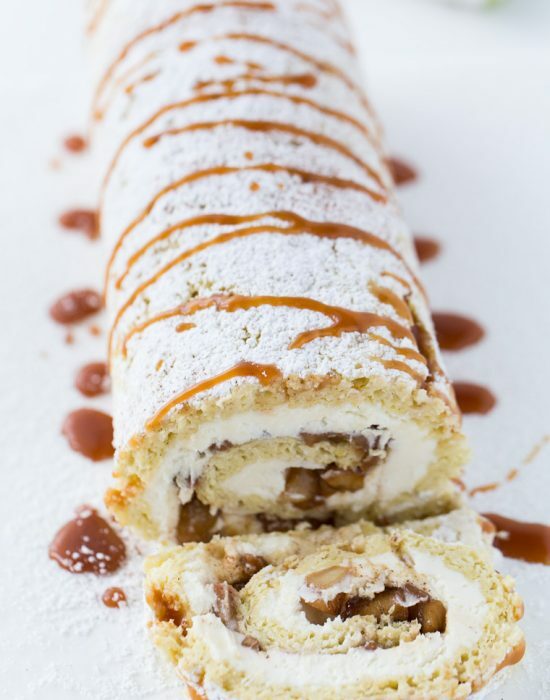 So many great Thanksgiving dessert ideas! Oh yum, I’d so love to eat all the stuff here! Everything looks delicious! It’s such a shame that we don’t really do Thanksgiving in Spain, because all the food (and the meaning behind it) is amaaaaaazing. It’s really just a day of eating and spending time with family. One of the best holidays! YUMMM! all these goodies look so delicious! Oh my goodness, all of these sound incredible! And they are all beautiful. 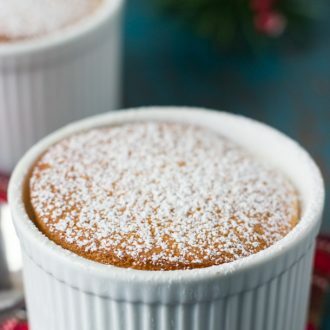 Haha, I was scrolling through your feed and was like, it’s Christmas at her house 🙂 Which isn’t a bad thing 🙂 I’m going crazy for all these orange themed desserts! Whoa – these are all stellar! I’m a huge sweet potato fan in baking! 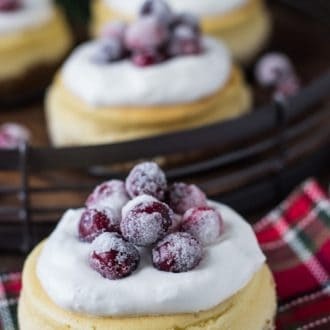 This look incredible delicious!! I need a slice of all of them! 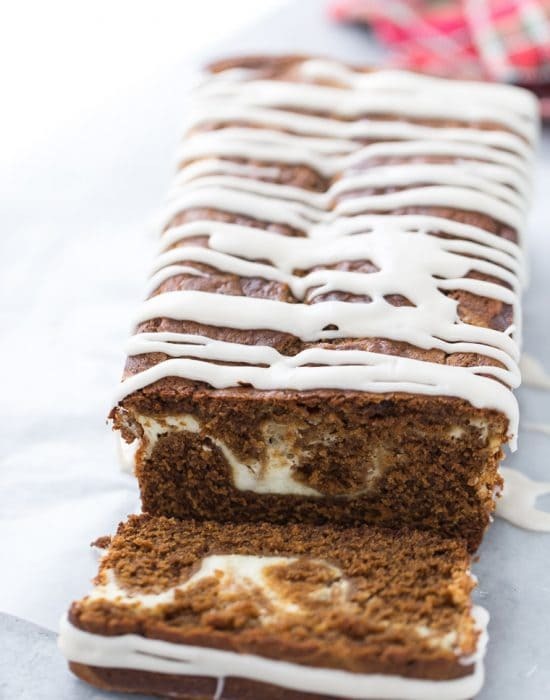 This spiced pumpkin cake is beautiful! I love how you have decorated it too with the pine cones and berries. So many fall flavors going on here. I love this! 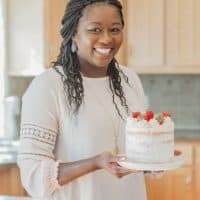 I have a question about the Spiced Pumpkin Cake with Brown Sugar Frosting. 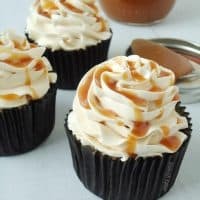 The instructions for the frosting says “Mix the salted caramel into the buttercream.” But I don’t see salted caramel in the ingredients list. Sorry but I’m a little confused. I appreciate your help!